Old shops and more modern businesses, traditional bars and trendsetting places harmoniously mingle in the streets of Triana, thus creating a lively microcosm inside Seville. 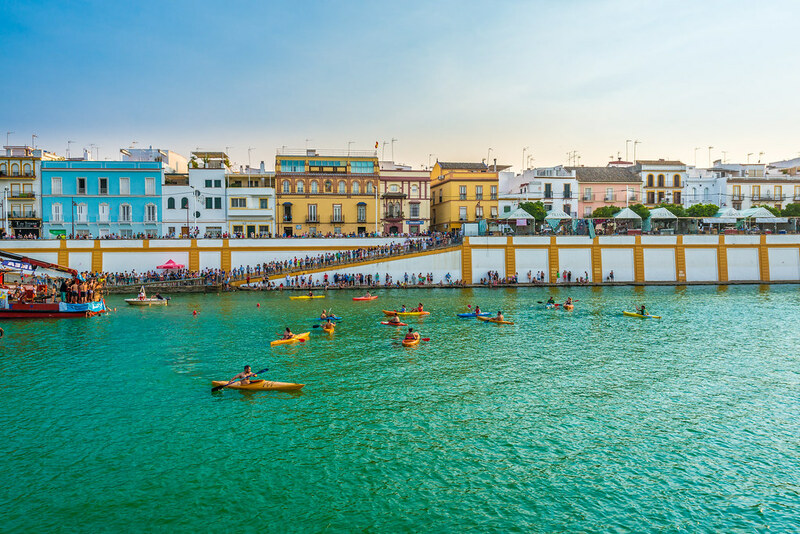 If you’re planning a trip to the city, Triana should be on your to-see list! The neighbourhood of Triana is one of the eleven districts that form the city of Seville. It’s located on the banks of River Guadalquivir, on the other side of the historic centre of Seville. 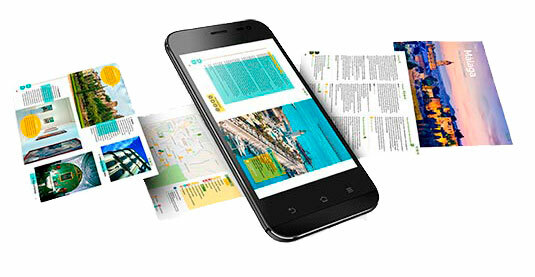 Its origins root in the Roman times, proofs of which are the numerous vestiges found in the area. And to underline the importance of the Romans for its development, know that the district is said to owe its name to the Roman colony founded by Emperor Trajan. 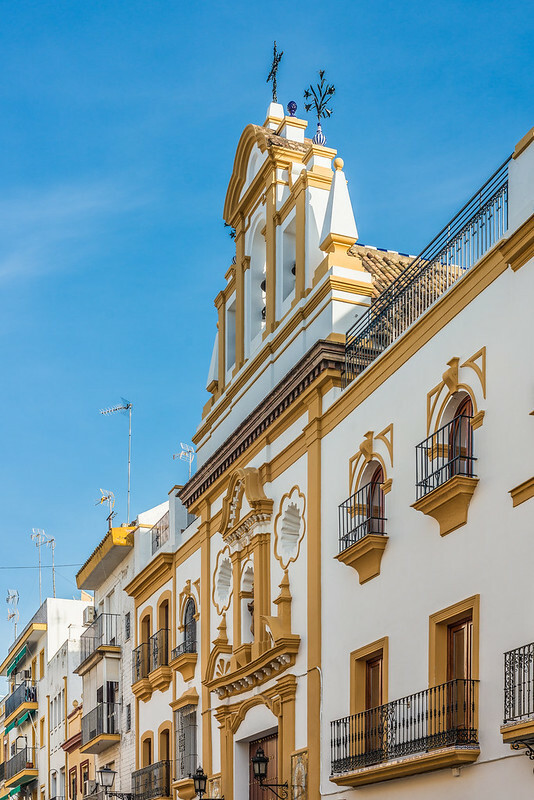 Since then, the neighbourhood of Triana has been the cradle of artists, sailors, bullfighters and potters (just like Seville’s patron Saints Justa and Rufina, two martyr sisters who used to sell pottery in the market of Triana in 280AD). The turning point for Triana, however, was in 1171 when the first bridge between the two riverbanks was inaugurated under Caliph Abu Yaqub Yusuf. 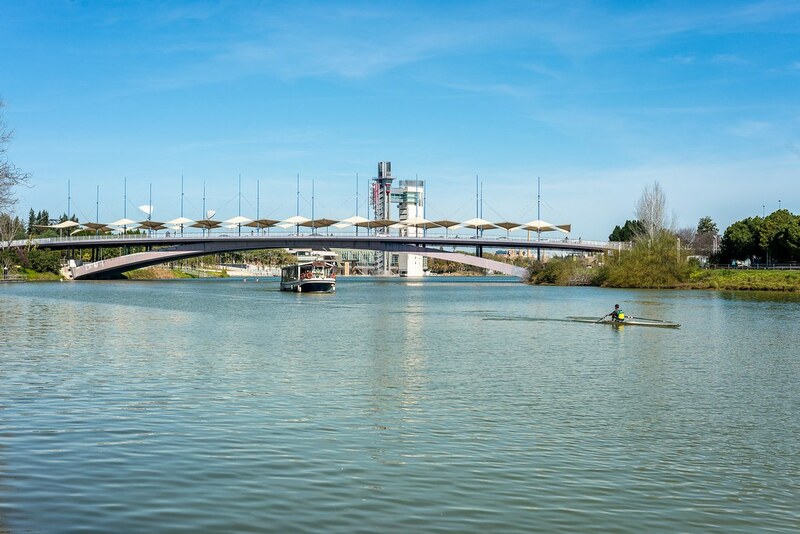 The bridge, which would be the only bridge connecting the two edges of the Guadalquivir for almost seven centuries, was made of a few wooden thick planks laid on thirteen boats (thus its name Puente de las Barcas, i.e. Bridge of the Boats). Despite being somehow rudimentary, this bridge gave a boost to the commercial relationships between the two edges of the Guadalquivir. Find here how to get to Seville from the airport. 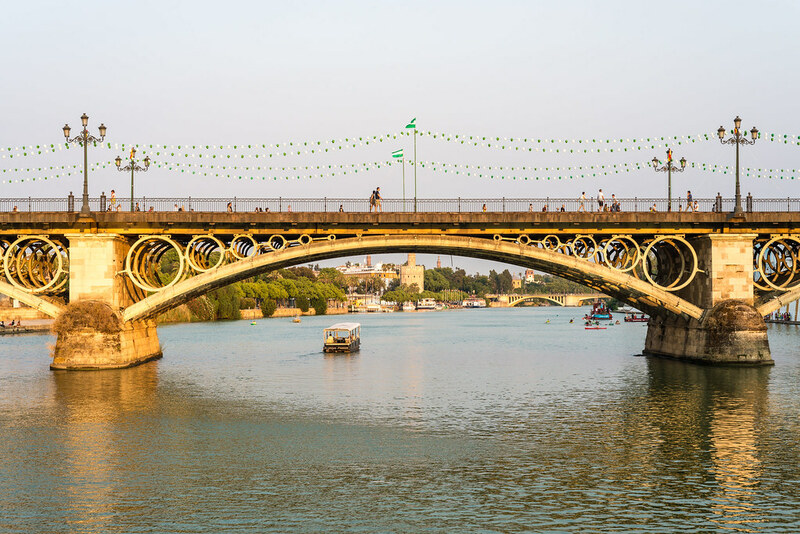 Once you’re in the Andalusian capital city, you can reach Triana by crossing the Puente de Triana, or Puente de Isabel II as this bridge is also known (the oldest iron bridge in Spain). Another crossing point is the Puente del Cachorro, which stands out for its peculiar sunshades. On the right side of the bridge, the Isla de la Cartuja is located, which was the see of the 1992 EXPO and nowadays welcomes the amusement park Isla Mágica. The best way to discover the neighbourhood of Triana is to get lost in its streets. Walk with no particular destination in mind and discover the quaintest corners of this Sevillan district. As you stroll down the streets, don’t miss out on the following. 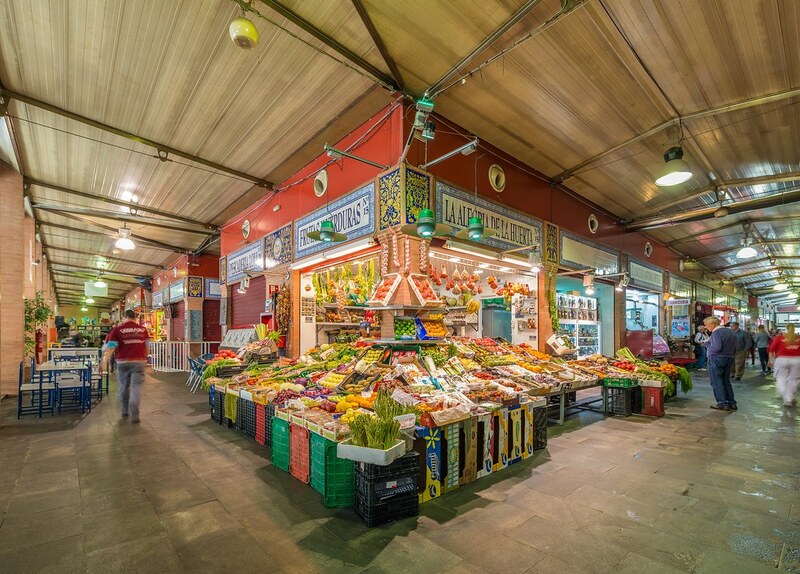 Because the best way to discover the neighbourhoods is by visiting their markets, the 1823 Mercado de Triana should be the first stop of your visit. Located right in front of the Puente de Triana, the Market welcomes stalls selling all kind of food, flowers, beers and juices, as well as gifts and even a hairdresser! Besides, more than 10 bars and restaurants provide a wide choice as to where and what to eat. Each stall has its name and number painted on the tiles above the main window. The Market is the perfect spot to start getting used to the lively atmosphere of Triana. Tip: the Market is provided with a delivery service, in case you just want to relax and have the most delicious food brought to you! Located under the Market, you will find the rests of this fortress, built by the Visigoths more than 1000 years ago. When the troops of King Ferdinand III the Saint conquered the city in 1248, the castle became part of the Military Order of San Jorge, patron of the Knights. Nowadays, the castle welcomes the Centro Temático de la Tolerancia (Thematic Centre of Tolerance), a museum about the Spanish Inquisition, which had its prisons and Tribunal in the Castle. 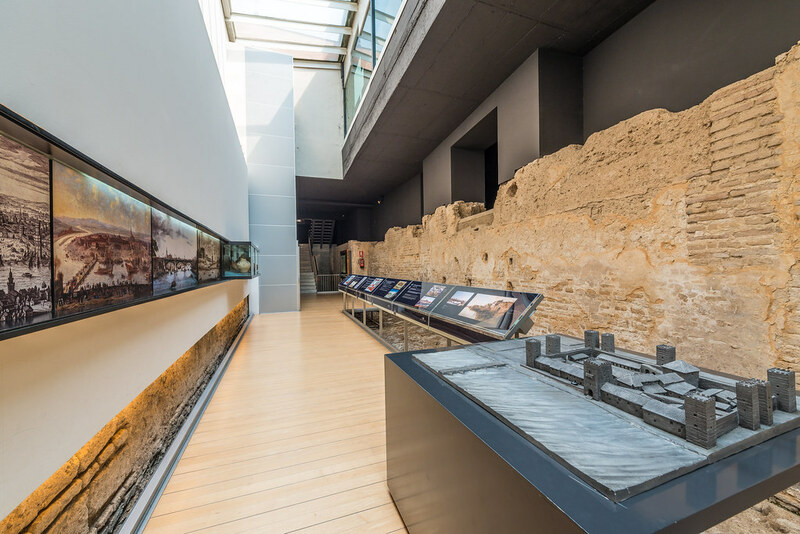 Video installations, a sensory room, and an itinerary in the lowest area of the building provide an interesting point of view on the Spanish Inquisition. This is where the old pottery factory of Santa Ana used to be; nowadays, it’s been converted into a museum and a didactic centre. The centre recalls the pottery past of Triana and the importance of this craftsmanship for the neighbourhood. 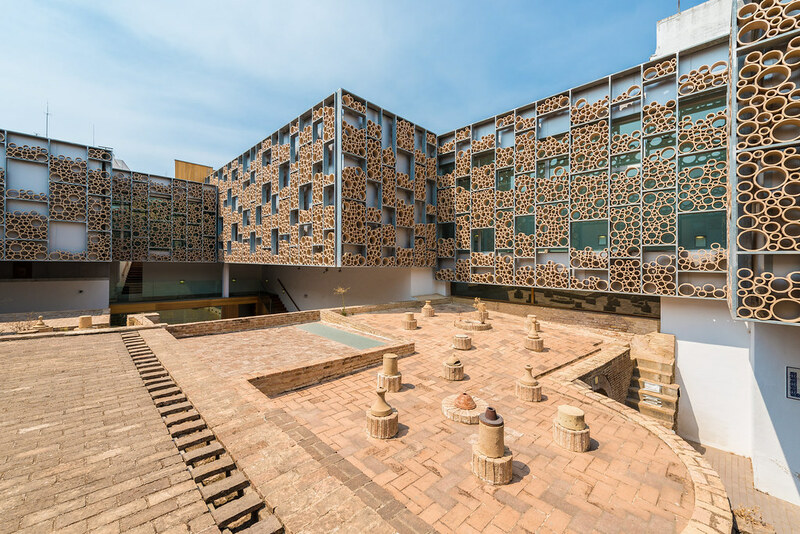 The upper floor of the Centre features a permanent exhibition displaying a few tiles belonging to the Plaza de España and the historic ovens used to cook the pottery, and a space for cultural activities, among others. 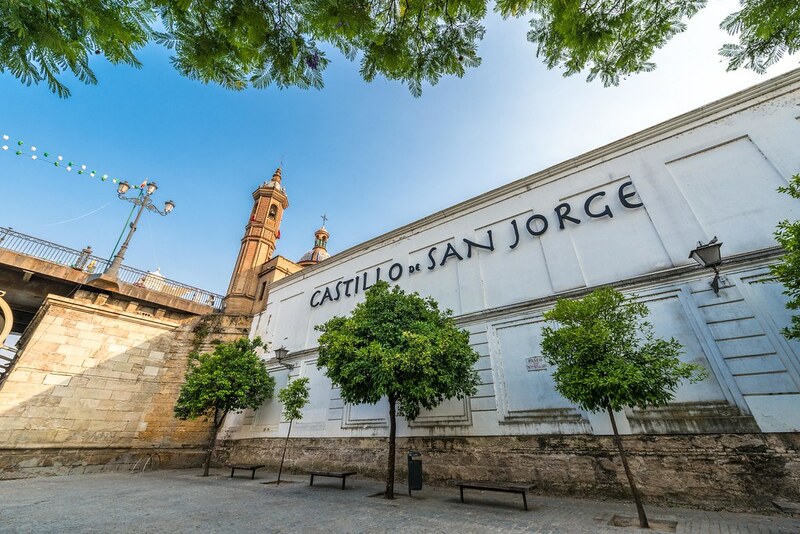 What is considered by many the Cathedral of Triana, this 13th-century church was Seville’s first Christian temple, built outside the walls of Seville after the Reconquest by King Alfonso X. The King got the Parish Church of Santa Ana built because of a miracle of the Saint who cured an eye illness of the King. 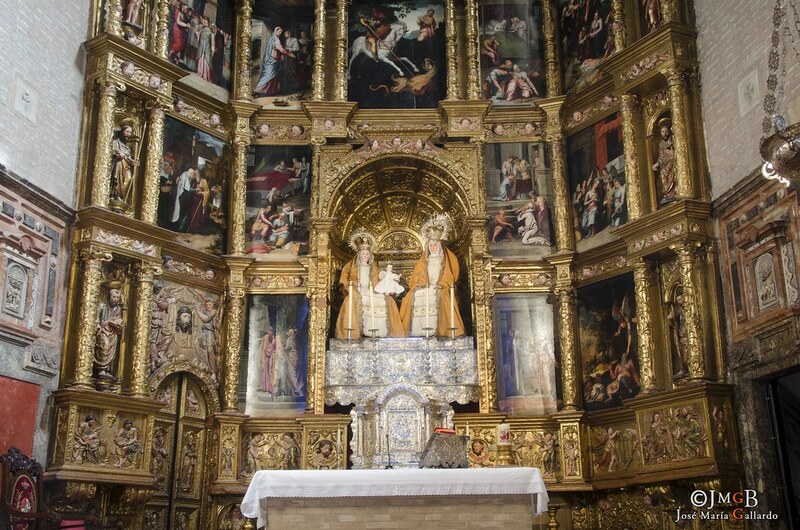 The church’s fabulous mayor altarpiece, located at the end of the church’s central nave, features a collection of paintings of Pedro de Campaña regarding Saint Joachim and Saint Anne, the life of Virgin Mary and the genealogy of Jesus. Curiosity: The sailors and commanders, who asked the Saint to protect them before leaving for the New World, brought back various treasures and donated them to the Church. When you’re in Seville, you may hear this street’s name various times a day. 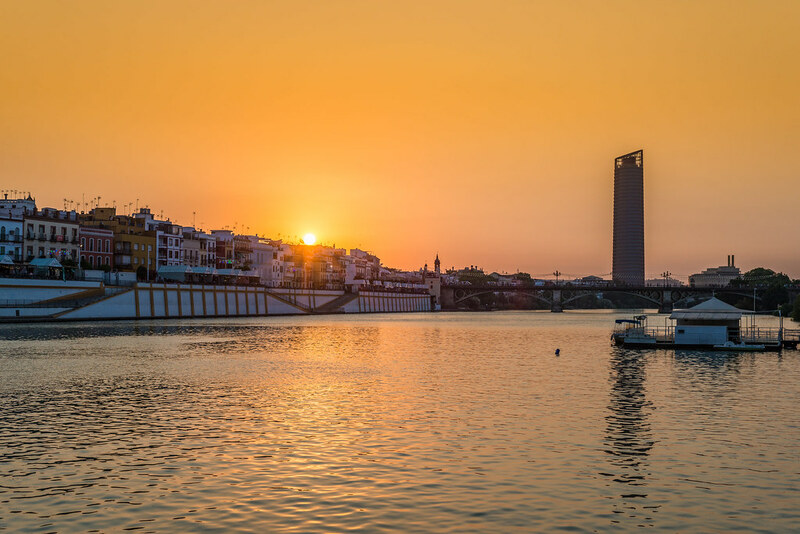 This is because the second most important football and basketball club in Seville are named after this street, which extends between the Puente de Triana and Puente de San Telmo, parallel to the Guadalquivir. The Betis street is an excellent viewpoint to contemplate some of the most famous landmarks of Seville, the Torre del Oro and the splendid Giralda. Besides, the street is home to the Antigua Universidad de Mareantes, where the sailors were taught before weighing anchor towards the New World. As a curiosity, know that here is where the vessels of Magellano and Elcano stocked up before their voyage around the world. If you want to enjoy the most authentic experience in Triana, visit the neighbourhood at the end of July, when the Velá de Santa Ana takes place (in 2018, from July 21st to 26th). Declared Fiesta de Interés Turístico, it has no reason to envy the more famous Feria de Abril. The Velá is a 6-day Fiesta Mayor that honour Saint Joachim and Anne, featuring sport, cultural and social activities throughout the neighbourhood. The most famous is the Cucaña, where a foulard put on the prow of a boat has to be caught in a sort of race on the river. The most popular areas during the Velá are Betis street, Puente de Triana and the Plaza de Altozano (the district’s central square). Among the six brotherhoods of Triana, the Hermandad de la Esperanza de Triana is the one with the highest number of devotees. The brotherhood was founded in the 15th century, thus becoming the oldest in Seville. If you’re in the Andalusian capital city during the Holy Week, try to reach the Plaza del Altozano on Good Friday. Here, you will see how the Virgin spins 360º to see the devotees off before going back to her temple, located in Pureza street. The Virgen de los Marineros (Virgin of Sailors, as Esperanza de Triana is also known) share the devotion with her homonym Esperanza Macarena, belonging to the neighbourhood of San Gil. Therefore, you can imagine with how much fervour and passion the brotherhoods bring the sacred images around the city during the Semana Santa. You can’t leave Triana without engaging in a Route of Tapas. Try the “pescaito”, the oxtail, and the Iberian hams. 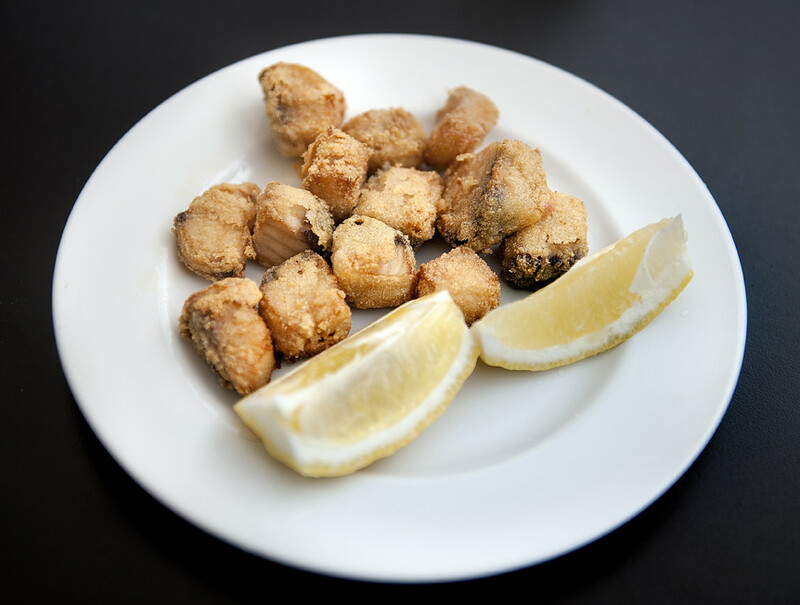 Also, don’t miss out on the eggs of common quail with ham, cuttlefish and prawn meatballs and the cod “a la viuda”. These are just some of the tapas and delicatessen you have to try while in Triana, maybe accompanied by a fresh caña (glass of beer) or a glass of wine. calle Castilla, which welcomes the Hermandad de la O and Hermandad de El Cachorro, two of the most popular brotherhoods in Seville. 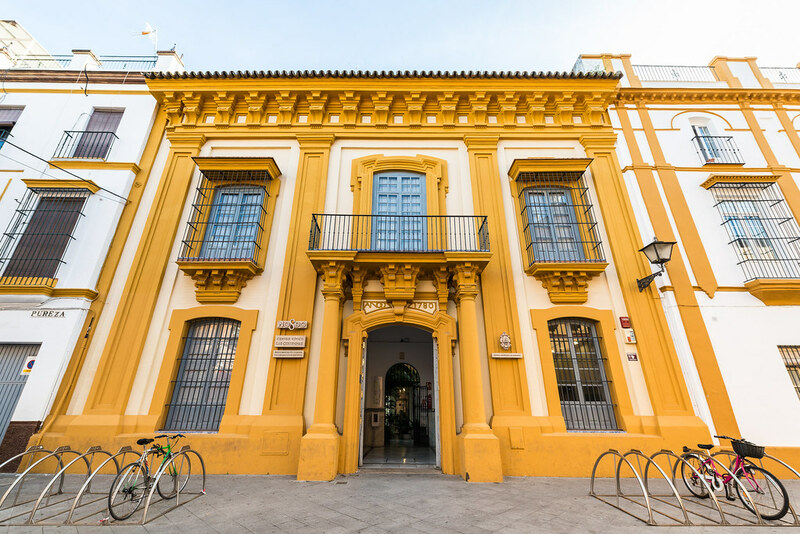 If you’re looking for a place to stay in and near Triana, the city of Seville features various holiday homes in its surroundings, which you will make the most of as soon as you lay an eye on them. Click on the button below to find out the best holiday homes and villas in Seville province.